VILLAS AND APARTMENTS TO RENT IN SALOBRENA, SPAIN. 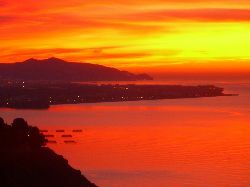 Welcome to our selection of holiday homes to rent in Salobrena, Spain. Salobrena, a pretty, traditional resort on the Costa Tropical, is in a perfect location for a holiday in southern Spain, whatever your interests and whatever the weather. There are the usual amenities, such as beaches, bars and restaurants, but also a fascinating old town to explore, lots of sporting activities on offer and many of the most famous and beautiful cities in southern Spain are only a short drive away. Salobrena is even close to the Sierra Nevada mountains, which are popular with skiers in the winter months, with some runs open as late as April, thanks to their novel snow cannon! You could be in the envious position of skiing in the morning, before driving back to the coast to relax on the beach with a cold drink. Salobrena itself is a typical whitewashed Spanish village, climbing the slopes of a mountain a little way inland. The narrow winding streets will eventually lead you to the Moorish fortress at the peak, which is well worth the climb for the views alone. In the summer, the local tourist office even runs guided tours of the old town in English; learning about the history of this fascinating village will make you appreciate the sights even more. The old town is also the cultural centre of Salobrena, with religious festivals throughout the year and summer concerts in the fortress. Below, is the more modern development, where you will find the majority of the holiday accommodation, bars and restaurants. There are also beaches, where you can relax after your tour around the old town or after taking a walk around the Penon, a large rock jutting out to sea that used to be a prison. If you are a keen diver, the Penon is home to an impressive artificial reef that has managed to attract hundreds of species to the area, making it a great place to scuba or snorkel. Salobrena is one of the quieter towns along this stretch of coastline, but there are plenty of larger towns, nearby complete with their own water parks, busy nightlife and larger beaches. The Parque Aquatico in neighbouring Almunecar is a popular attraction with teenagers and children during the summer months, while there are several golf courses within a few minutes drive, either inland or further along the coast. Further afield, you can be in the historical city of Granada within an hour and there are companies in Salobrena and the surrounding area that organise daily bus tours into the mountains during the tourist season. 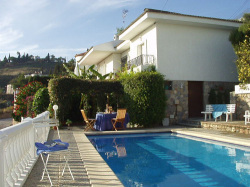 Looking for self catering holiday accommodation in Salobrena? Then below is a selection of holiday villas in Salobrena and holiday apartments in Salobrena that can be rented direct from their owners. You can either click on each listing for further details or you can use our search engine on the left if you are looking for something in particular.